The Edmond Academic Team is proud to announce its 2nd attempt at hosting an NAQT tournament after a long hiatus (9 years?). We are hosting the tournament on April 11, 2009, and it is open to non-Oklahoma teams. Please contact me (Greg Oppel) for tournament registration information at EMHS.Academic.Team@cox.net. 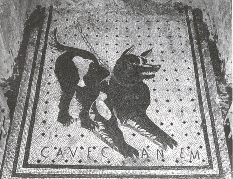 Edmond Academic Team "Cave Canem"